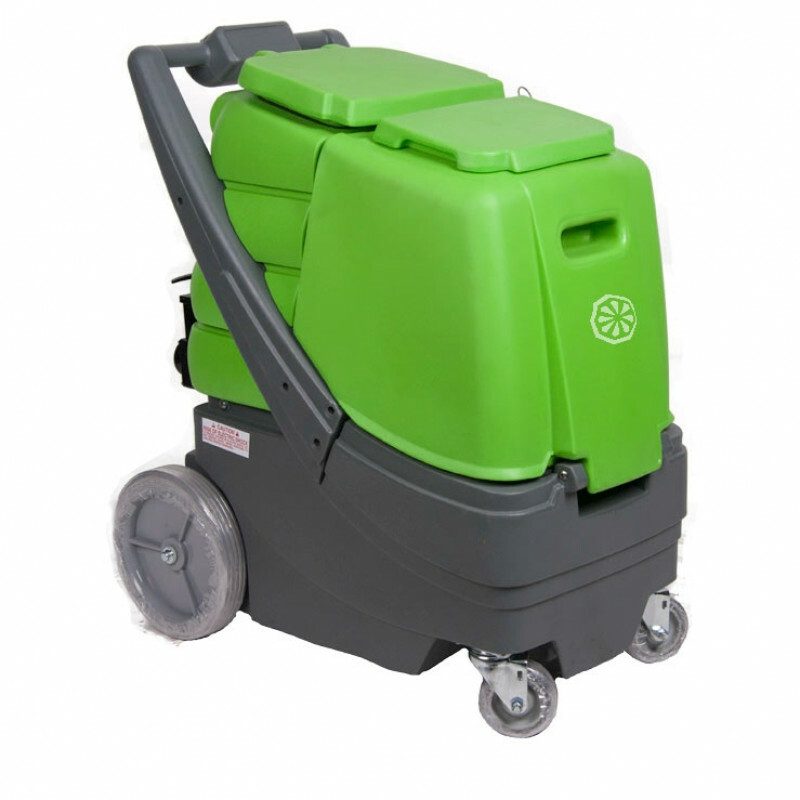 This 150 PSI heated carpet cleaning machine is often referred to by people as a steam carpet cleaner. This is not an actual true description of this machine, because for a machine to produce pure steam, the heater would have to heat the water above 212° F, which can actually be harmful to your carpeting. None of our heated carpet extractors will produce this type of heat. This "steam" carpet cleaning machine will produce heat in the range of 170° F, when run at a consistent pace. This is not steam, but is a heated water extractor that will give the best clean on your carpeting. 150 PSI pump provides plenty of water to your carpets for adequate cleaning. Dual vacuum motors with 170" of water lift provides enough suction to recover that solution. High dump allows for easy emptying into a 5 gallon bucket or floor drain. 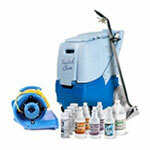 12" dual jet carpet wand and 15' vacuum/solution hose are included.